Wouldn’t you like a better garage door? 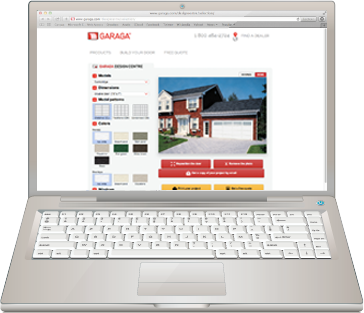 At GARAGA, we create garage doors that can withstand the elements. Years after they’re installed, they’ll still look great. Installation is everything. 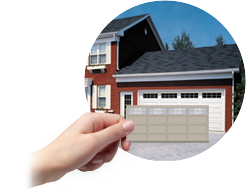 It doesn’t matter how expensive your garage door is: if it’s not installed properly, it’s not going to work for you. You can trust GARAGA’s qualified, certified installers to make sure that your garage door works the way it should. 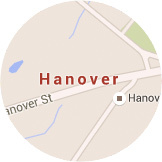 What other customers from Hanover, MA area say about Garaga? The new garage doors you installed for us have been terrific. Not only do they make the house look much nicer, but the garage has been much warmer in the winter and stays much drier in bad weather. Since the garage leads into our family room, we have actually saved some money on heat! Abington, Bourne, Brewster, Bridgewater, Brockton, Buzzard's Bay, Cape Cod, Carver, Centerville, Chatham, Cohasset, Cotuit, Dennis, Douglas, Duxbury, East Sandwich, Easton, Falmouth, Hanover, Hanson, Harwich, Hingham, Hull, Hyannis, Kingston, Marshfield, Marstons Mills, Martha's Vineyard, Mashpee, Medfield, Medway, N. Attleboro Newport, Norwell, Orleans, Osterville, Pembroke, Plymouth, Plympton, Raynham, Rockland, Sandwich, Scituate, Taunton, Worcester, Yarmouth. Our GARAGA technicians and installers in Hanover are the best in the business. You’ll never come across installers who are more efficient and professional. We deliver the best possible service, always with your individual needs and budget in mind. Our goal is always to deliver a perfect customer experience.